The drug is the dried rhizome and whole herb of Hierochloe odorata (L.) Beauv. 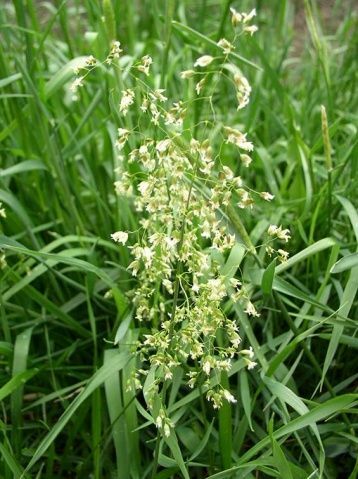 (family Gramineae), growing on shady hill-slopes or wet grass-fields, distributed in Inner Mongolia, Shaanxi, Gansu, Shanxi, Shandong of China. It is used to cool blood and stop bleeding, clear away heat and induce diuresis; for the treatment of hematemesis, hematuria, edema due to nephritis, stranguria of heat type.